Recommended Reading • Robinson Capital Corp. 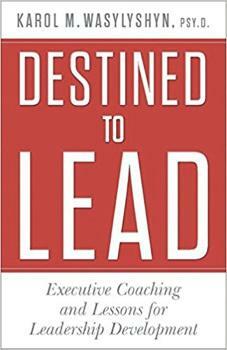 Destined To Lead: Executive Coaching and Lessons for Leadership Development by Karol M. Wasylyshyn, Psy.D. This is the best book I’ve ever read on Leadership and CEO coaching. The author, a friend and mentor, Karol M. Wasylyshyn, is the best Executive Coach I’ve ever met (and perhaps in the world- no kidding). Karol facilitates powerful behavioral results with her Clients at their Sponsoring organizations. The book is a couple of years old, but it’s certainly not dated. If you want a glimpse into what great leadership coaching looks like, Karol has opened her case file here. She details eight disguised cases. Click here to read the review I wrote on Amazon. 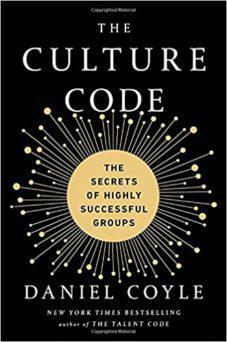 Coyle quotes a Harvard study of 200 companies that documents that organizations with strong cultures were proven to increase net income by 765% over the course of ten years. He goes on to describe three key skills involved in building culture: 1. Safety, 2. Vulnerability and 3. Purpose. His book describes organizational cultures of Navy Seals Team Six, the San Antonio Spurs and IDEO. He also writes about Zappos, and a comedy troupe called the Upright Citizens Brigade. My work is coaching CEOs and other key leaders. Because of this- I find this book an invaluable commentary on culture. It is well-written and very enjoyable to read. Coyle’s cases depicting how vulnerability helps create both belonging and bonding among team members hit me right in the heart- my favorite place to be hit reading a book or watching a movie.